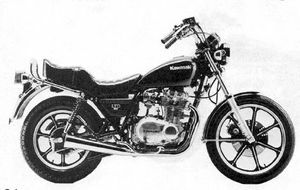 The Kawasaki KZ400H is a motorcycle produced by Kawasaki in 1979. 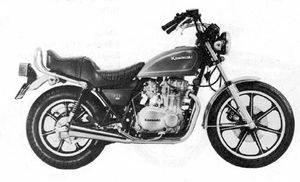 Remarks: Same as KZ400-B except front caliper, color & graphic, and cast wheel. Main Changes: Graphic, transistorized ignition system. This page was last edited on 23 November 2010, at 23:47.